Rising temperatures watch them succumb to the consequences of climate change earlier than thought and could make some species sterile, scientists at the University of Liverpool warn. “There’s a threat that we’re underestimating the effects of climate change on species survival since we have focused on the temperatures that are lethal to organisms, instead of the temperatures where organisms can’t breed,” describes evolutionary biologist Dr. Tom Price in the University’s Institute of Integrative Biology. Presently, conservationists and biologists are trying to predict where species will be lost because of climate change, so they could build reserves that are acceptable too. But the majority of the info on when the temperature will prevent species is based on the ‘thermal limitation’ or CTL — the temperature at which they perish, stop moving or collapse. In a fresh opinion article published in Trends in Evolution and Ecology, the researchers emphasize that extensive data from a wide array of plants and animals indicates that organisms lose fertility in lower temperatures compared to their CTL. Groups are believed to be vulnerable to climate-induced fertility reduction, including animals and aquatic species. “Currently the information we have suggests this will be a serious issue for many organisms. But which ones are most in danger? Are fertility losses currently likely to be sufficient to wipe out men, or can a fertile individual keep inhabitants? Right now, we don’t know. We need more information,” says Dr. Price. To help manage this, the researchers propose another measure of how organisms’ function at temperatures which focuses on fertility, and that they have called the Fertility Limit or ‘TFL’. “We believe that if biologists’ study TFLs in addition to CTLs then we will be able to work out whether fertility decreases because of climate change are something to be concerned about, which organisms are particularly vulnerable to these thermal fertility losses, and how to design conservation programs which will allow species to endure our changing climate. 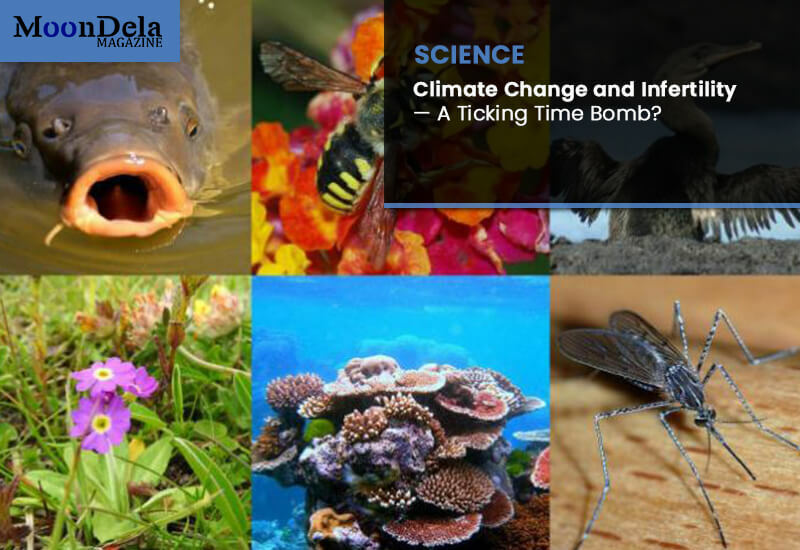 “We need researchers throughout the world, working in very different systems, from fish, to coral, to flowers, to flies and mammals, to locate a way to quantify how temperature impacts fertility in that organism and also compare it to estimates of the temperature where they die or stop functioning,” urges Dr Price. The work was completed in cooperation with scientists at the University of Leeds, University of Melbourne and Stockholm University and has been funded by the UK Natural Environment Research Council (NERC).